What is shame? How do you know if you carry shame? How do you know if it’s affecting your life? 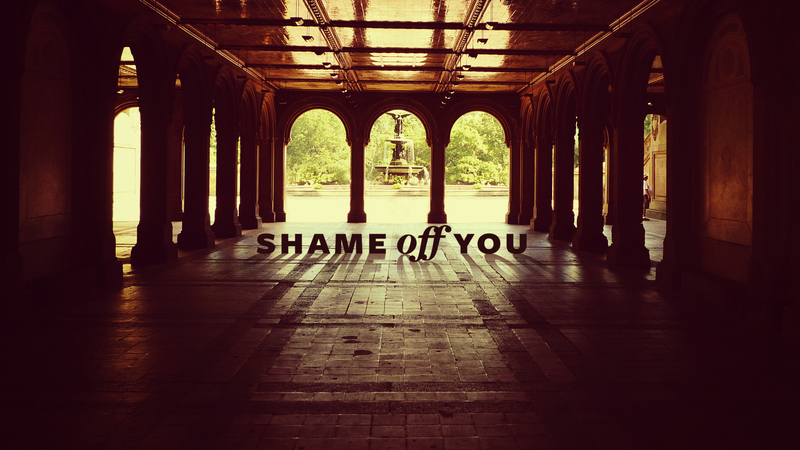 How do you know if shame is your current mirror? How many times have you heard someone say shame on you? How many times have you said it yourself? Only the shamed will sow shame. Shame damages and destroys the image of God in you. Shame is a dirty mirror indeed. It is when you take what someone says about you as a value statement instead of an observation. Someone with shame will take correction as someone judging you but if you take it as an observation you’ll take it as a learning situation and thank that person because you know that if a wise man is rebuked he loves it because he wants to learn and is teachable. If you take things as value statements then anything anyone says to you even remotely negative or even positive remarks, you’ll immediately hide and run and think shame and won’t accept compliments. When was the last time someone was rebuking and returned love and thankfulness in return? But that is what a teachable spirit is: knowing that iron sharpens iron and all things and situations can be used to grow and thrive in. Shame along with the view of that what people say about or to you as value statements only make you want to run and hide. If we are adults and we were wounded by a parent who would knowingly or unknowingly wound us we can get healed and walk forward and out of shame. Some of you have tried to help your parents out with housework or yard work only to have them pick it apart and say how bad of job you did or maybe you wanted to wash your father’s car as a surprise and your father only could see the spots you missed and were still dirty and decided to rewash the whole car all the while telling you how you missed so many spots. These things have hurt you and you’ve probably decide you’ll never wash a car or do dishes again. Maybe you decided you never want to be vulnerable and help anyone again because they won’t approve of how well you’re doing. There is healing and restoration for your heart, soul, and spirit. God will heal you and then you no longer need to take things people say about you as value statements and now they will only be observations because you know that your Heavenly Father is the one where you truest identity is present. God is not ashamed of you! His smile over you is consistent because that is who He is! The problem is we take our messed up pasts and poor parenting and place that label on the Father. He is not like your parents. He is so much better and he will re-parent you and you’ll learn what it means like to be approved and accepted and truly loved as a son or daughter of God. God. I need you as my Father. Help me. I need You to re-raise, re-parent, and re-present parenting to me. I hurt. Shame has been on me for so many years. But I know, deep down, You are good. Forgive me for judging You based on the bad parenting and upbringing I had. Thank you for forgiving me. I give you access to all areas of my life and heart. Bring healing! Thank you for bearing my grief, shame, hurt, and damage. You are good, God, and I believe it now. You are awesome and, God, I now believe I am awesome too! I am awesome because I am created in Your image. Thank you, Father for giving me the healing and ability to call you Father. Thank you that my heart is good and with this good heart I can love you with it when before my heart was hurt and couldn’t love you properly. Thank you for placing me in Christ, where true and ultimate healing is. Thank You for giving me eyes to see, ears to hear, and a good heart to receive and experience You and the Love that You are. I forgive my parents and teachers and coaches and relatives and siblings and anyone else who may of wounded or hurt me in the past. I release them into Your hands. Thank you, Father, for healing and setting me free to be free indeed. Thank you for being in my Shack all along waiting for me to come to You for healing. Father, in Jesus’ name, I declare the person reading this is free from shame! Free from the pain that it has brought! And free from the past! You’re heart is beautiful, awesome, powerful, clean, and free to love God and others. I declare you now can love yourself! Healing come right now to the wounds of the past and present. Healing! Healing! Healing! No more shame! Shame OFF you! I decree complete healing! Set free by the love of the Father who loves you with and eternal and everlasting love. I call forth your spirit man to rise up and receive the love of the Father and the acceptance and approval of the Father! No more shame! No more shame! The love of the Father, Perfect Love cast out all fear right now! Father comes with your soothing voice and touch and complete the work You began in their life! I say all this in Jesus’ mighty name! wow,..this is indeed great new. To know that nothing in the world can bring me down,…no wonder He says, “all things work together for good to them that Love God, they that are the called according to his purpose”. God loves me, so the shame is off me and today I bring myself under His instruction, direction and guidance. Wow, fabulous post, thank you!! Thank you so much! Be blessed and no more shame in Jesus’ name! I Love that! He is NOT ashamed of us!